The view from the restaurant on top of the hostel I'm staying at. So I’m here in Istanbul, Turkey. I got in around noon yesterday, and I’m meeting up with Ashley and Marissa tonight. Istanbul is just as beautiful as everyone has said. Just look at that picture! 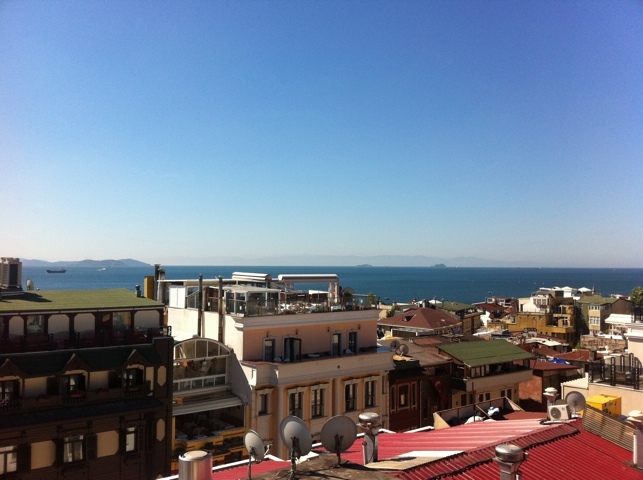 If I turn around from that position, I see the Hagia Sofia two streets away! The hostel I was at last night (Istanbul Hostel) was really great. Not the nicest, that goes to the hostel in Shanghai, but it has the best feel to it. Breakfast is included, and I woke up this morning to a cup of coffee, a plate with a block of feta cheese, sliced cucumbers and tomatoes, olives, a hardboiled egg, and all the French bread I wanted. And I ate it on the roof. Fun story. You know the saying “It’s a small world.”? Well, traveling makes that saying sound dumb. Cities have similarities, but the time it takes to get everywhere and the vast differences in cultures make America seem very removed from the rest of the world. That is, until you realize that there are four other USC Class of ’11 grads staying at the same hostel you are in Turkey. It’s a small world. 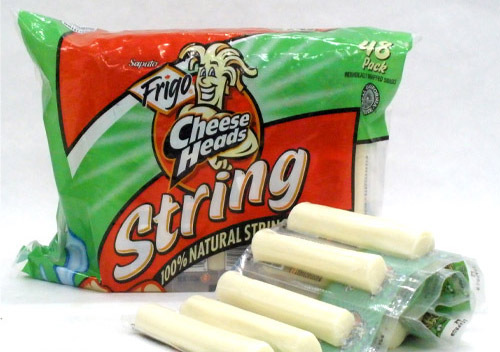 This is Frigo string cheese. It's a good brand. I love string cheese. At work, we have string cheese stocked in the fridges, and work is all the better for it. I love when you peel off a piece, and it’s thin, and I love when it gets stringy at the bottom. Today I pulled my string cheese out of my pocket once I got to my car (about 7-8 minutes post-fridge), and it peeled off much better than usual. Believe me, I was as blown away as you are right now. Try it. Kind of an odd title, but fitting nonetheless. Last night the USC Catholic Center got everyone together bused us to The Grove, a high end outdoor mall in LA (you might have heard of it…). 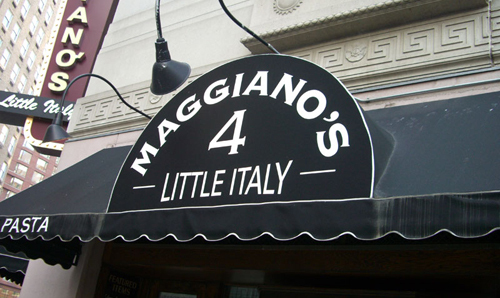 We started (and ended) the night at Maggiano’s Little Italy Restaurant. While the plan was to originally to go to dinner and then move out to shop for a bit, store close at 9 at pretty much every mall. 9 is just a tad earlier than the 10:30 at which we finished dinner. In case you are wondering why we were eating for so long, there are a number of reasons. One is that there were about 50 people total eating in our party, so even family-style dinner takes a while. Another reason is that there were three full courses. We got our pizzas, salad, and calamari as appetizers, the fettucini alfredo, lasagna, and salmon next, and some amazing chocolate cake and tiramisu for dessert. Amazing all around. The kicker? The man who owns The Grove, Rick Caruso, also happens to be Our Saviour’s (Catholic Center) biggest donator. Word is that it’s because of his generosity that we are building a new center next year! Looks like it’s a great time to be at USC! So we all had a great time out away from school, and I discovered where the closest Apple Store is to USC (I think).